Mangaluru: Youth arrested for illegally Entering Mangaluru International airport. 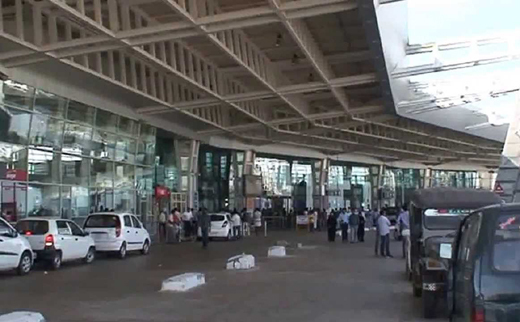 Mangaluru, May 27: A 23 year old youth was arrested on Tuesday Morning by the security personnel for illegally entering Mangaluru International Airport. Iqbal, Resident of Balepuni near Konaje entered the airport illegally to see his family members who boarded an International flight. He was taken into custody when he was enquired by the security personal while coming out of the airport terminal. Iqbal was later handed over Bajpe police for further Investigation about his intention and background. He was sternly interrogated at the Police station and was later released. As his father, mother and two relatives did not cancel the ticket, he entered the airport with his formerly booked ticket to see them from the departure section. Since he did not board any flight, he was taken in to custody by the security personal while he was exiting the building. Later he was handed over to the Bajpe Police for Interrogation. Ramesh Hanapur, the Sub Inspector from Bajpe Police Station said "During the Investigation we understood that Iqbal entered into the Airport illegally to see off his parents and had no bad intentions and thus he has been released"
The director of Mangaluru international airport J T Radhakrishan warned the people against illegal entry to the Airport.